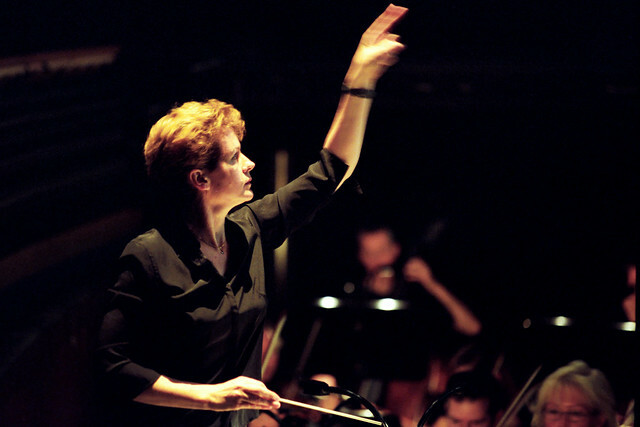 Female musicians in the UK with an interest in conducting opera are invited to apply to a free, week-long conducting course, created in collaboration between the Royal Opera House, the National Opera Studio and the RPS Women Conductors Programme. The course, held between 3—7 September 2018 at the National Opera Studio in London, will cover the specific skills required by a conductor of opera, including score preparation, approaches to different styles or repertoire, conducting recitative, co-ordinating singers and instrumentalists, and clarity of expression. It is designed for female musicians who already have a good understanding of how opera works, but may not have had experience conducting professionally or in an opera house. Apply online via the RPS website by Friday 20 April 2018. Applications are welcomed from UK residents who are available for the full period of the course whether as full participants or as observers. High-level keyboard skills are desirable, however, professional musicians with a commitment to working within opera, but without keyboard skills will be considered as both participants and observers. The course has been made possible with the generous support of Oak Foundation, which is enabling the Royal Opera to develop a number of diversity initiatives in partnership with other key players in the sector. Shame it is during term time so it excludes anyone currently teaching. Only for women in UK? Great news for aspiring female conductors, really exciting to see these programs starting to be launched and developed. First of many hopefully! Is there going to be another? The dates for this year were impossible but it is something I would love to do!